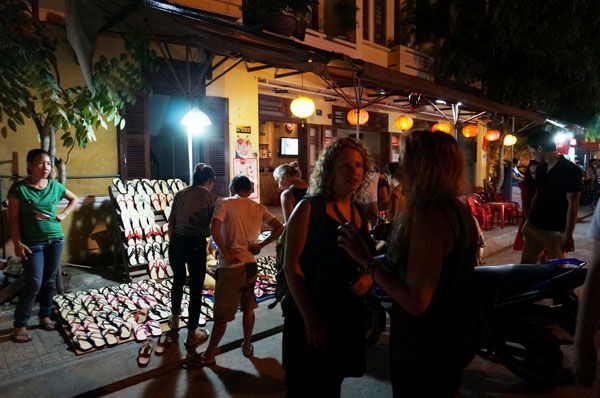 Hoi An night market is operated from 5pm to 11pm in the Hoi An old quarter, about 300 meters long with nearly 50 booths as a miniature of the old town Hoi An. 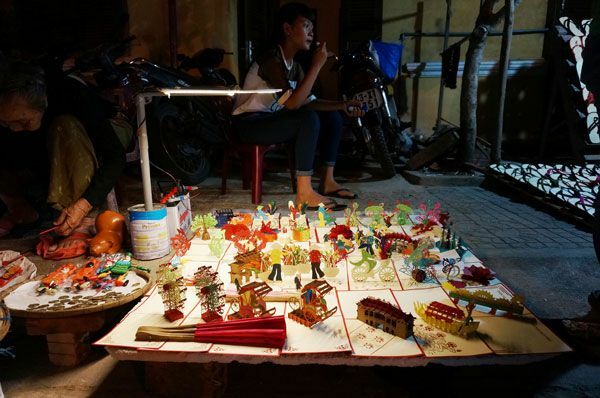 Here, visitors can easily get familiar images of Hoi An from the lantern of various types and colors to the handicrafts souvenir or special street food of Hoi An such as Cao Lau, Quang noodle, cakes, black sesame tea… However, the most impressive is still the bright lantern booths hanging along the street. 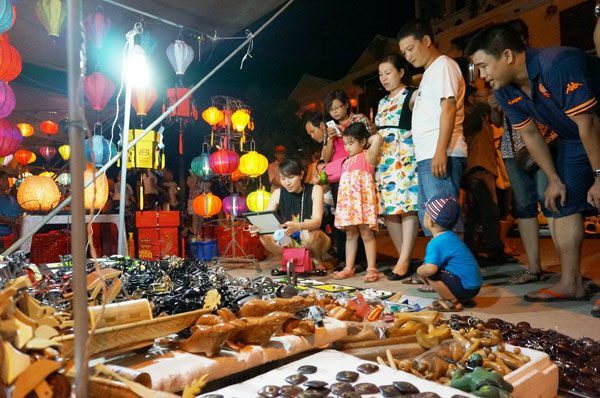 Visitors likely to go to a different world with lantern of all sizes, from elongated, round, triangle, garlic back to hexagon, lotus, crown, star; made from paper to silk, bamboo and rattan… all of them make the scene of night market Hoi An more lively. Although the market but here not only for shopping activities, but also an attractive destination for visitors. 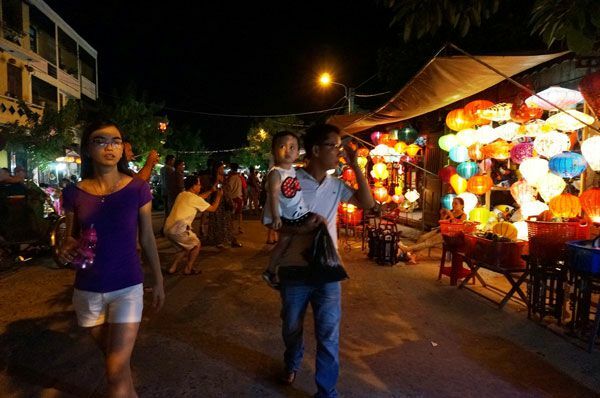 People come to the Hoi An night market for just wandering, watching or posing to take pictures of the lantern.. Walking in the night market is a special experience. 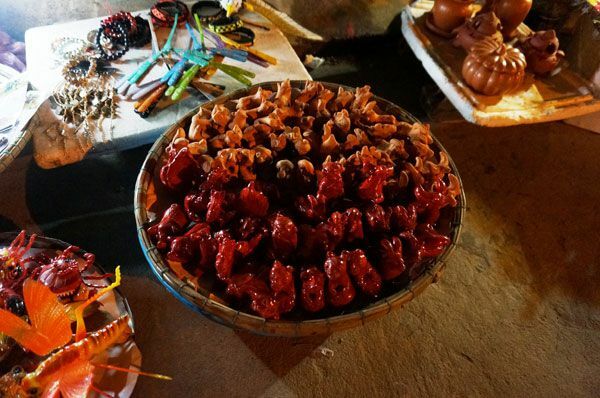 You will not only feel the value of indigenous culture through the fine handicraft products but also enjoy many rustic dishes are sold on the road, contributing to make the night market Hoi An more vibrant and imbued with cultural color. 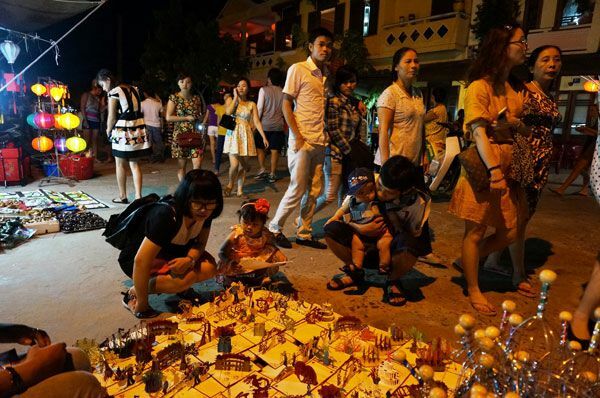 If you travel to Hoi An night market on the Full Moon night, you would also be very interested in activity of dropping flower lights on Hoai River. This is the practice of Hoi An for many years, flower lanterns carry the wishes of people.. All of the old streets are sparkling like the flowers. 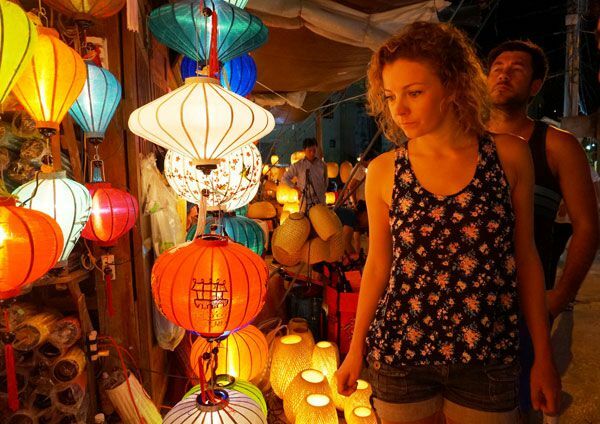 The night market Hoi An is also a place to introduce guests to another unique, fanciful Hoi An but also very ordinary.